By The Cruise Web, Inc.
Princess Cruises’ $450 million multi-year product innovation and cruise ship renovation has led to an exclusive and exciting partnership with Curtis Stone, an award-winning chef who recently launched his first restaurant at sea aboard Ruby Princess and Emerald Princess. SHARE by Curtis Stone, the high seas restaurant highlighting Chef Stone’s passionate and innovative culinary skills, offers specialty dining experiences designed to create a deeper connection between families, friends and other cruisers while at sea. The communal tables with freshly prepared meals served in a family-style dining environment are sure to enhance onboard experiences for all guests. This signature dining, which is currently exclusive to Ruby Princess and Emerald Princess, comes with mouth-watering dishes such as Charcuterie starter course; Butter Poached Lobster with Caramelized Endive; Twice Cooked Duck Leg with Fennel, Bacon Jus and Parmesan Crumb; Tagliatelle with Roasted Alaskan Crab, Chili and Parsley; and Potato Gratin with Truffles and Cream. 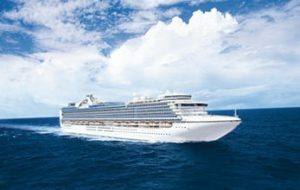 SHARE will debut next on Sun Princess in April 2016, giving cruisers departing from Australia and a few other ports the chance to experience this inclusive and memorable dining option. Make it a point to also savor delicious cuisine straight from a “Crafted by Curtis” menu available in the main dining areas on all Princess ships as part of your dining experience. You can’t afford to miss Chef Stone’s creative and inspiring handiwork, made with lots of love for that warm homely feel you long for even miles away from home. 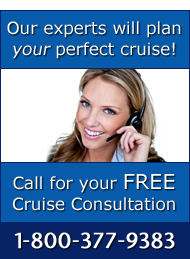 To learn more about Princess Cruises or to experience their innovative dining for yourself, contact one of our cruise experts today at 1-800-377-9383.